Wisdom Science: Scientist concludes: Death does not exist, its just an illusion! An American researcher postulates that death is an illusion created by our conscience. So, when a person dies life does not end, he explains. The new scientific theory suggests that physical death is not the terminal event that we think, it is only the change to a different level of existence. As people identify our being with the body, and we know that biological organisms are going to die, many are increasingly convinced that the death of the body is also the end of our consciousness. Lanza states how the concept of death as we know it does not exist in any real sense since there are no real limits according to which it can be defined. However, Dr. Robert Lanza, the scientific director at Advanced Cell Technology and an adjunct professor at Wake Forest University Medical School disagrees and says death is not real, it is just an illusion. Dr. Lanza has published hundreds of scientific articles and numerous inventions and has written so far, more than 30 books, including Principles of Tissue Engineering and Fundamentals of Stem Cell Biology, two publications that are recognized as definitive references in science. Lanza writes on his website how Death does not exist in a timeless, spaceless world. In an article written for the Huffington Post, Dr. Robert Lanza describes a fascinating scientific theory that has been defined as biocentrism and that could offer us a new point of view, based on a scientific evidence, about death and the fate of human consciousness after death. Not a single scientific discipline can explain how consciousness can arise from matter. Our understanding of the enigmatic phenomenon of consciousness is practically nil. Robert Lanza’s scientific theory, called biocentrism tries to refine these considerations, and many consider his work as unprecedented and revolutionary. One of the best-known considerations of quantum physics is that certain phenomena can not be predicted in an absolute way. The only chance we have is to calculate the probability that a particular event will occur. According to the interpretation of the theory of the multiverse, each possible event corresponds to a different universe. Therefore, there are an infinite number of universes, and everything that can happen happens in one universe. There are all possible universes simultaneously, regardless of what happens in each of them. So this means that the laws that govern the infinite universes can be, in fact, endless. Who or what sets the rules that are the basis of these infinite universes? A known quantum physics experiment shows that the presence of an observer is capable of influencing the behavior of certain particles. So what does this mean? What is the relationship between the perception of the world and the world itself? Is it possible that our minds largely determine the world we see? 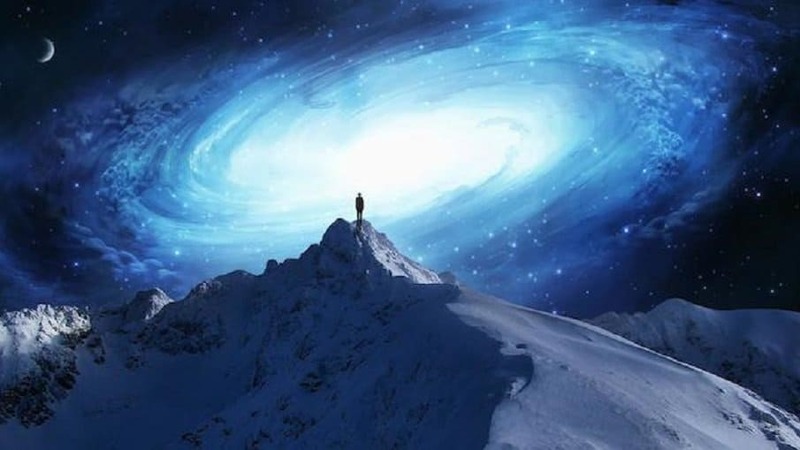 According to Dr. Robert Lanza, although bodies are destined for death and disintegration, the person’s living consciousness, the “who am I,” exists as a form of energy (about 20 watts) that operates within the brain. Dr. Lanza argues how the concept of death as we understand it does not exist in any real sense because there are no real limits according to which it can be defined. The idea of biocentrism is similar to the idea of parallel universes. According to the rules of biocentrism, time as we know it does not exist independently of the life that observes it.